TOKYO, Jun. 28, 2010 (Kyodo News International) -- Japan's Ministry of Health, Labor and Welfare said Monday it has agreed with Swiss drug maker Novartis (NYSE:NVS) AG to cancel part of a deal for H1N1 influenza vaccine because of a larger-than-expected surplus. The cancellation agreement covers around 8.38 million doses, or 33.5 percent of the 25 million doses the pharmaceutical company had agreed to supply under a contract with the Japanese government. With the cancellation, the government will save about 1.56 billion yen, although it will pay around 9.22 billion yen as an exit penalty, it said. Japan has already received delivery of 16.62 million doses, worth 21.4 billion yen, which are set to expire on Wednesday, forcing the ministry to consider the timing and method of disposal. Both parties have also agreed that if another flu epidemic occurs, Japan will be given priority in receiving up to 40 million doses of the vaccine. France has similarly canceled about 44 percent of its vaccine deal with Novartis, while Italy is still negotiating but Holland has not cancelled. Japan already cancelled part of another deal with GlaxoSmithKline Plc of Britain in March, making the total amount paid to the two pharmaceutical firms around 85.3 billion yen, less than the 112.6 billion yen it initially planned to pay. The Sankai article is in Japanese. "We have the regulatory mechanisms, and industry knows that," he said. "We also think things can be done voluntarily. We're not handcuffed to the steering wheel of a particular strategy, but I'm not ruling out anything that we can do to establish these important public-health goals." Prior efforts of this kind "have repeatedly collapsed in the face of opposition from the drug industry and farm lobby..."
The European Union banned the feeding of antibiotics and related drugs to livestock for growth promotion in 2006. U.S. farmers routinely give antibiotics to food-producing animals to treat illnesses, prevent infection and encourage growth. The drugs are often added to drinking water and feed. The Union of Concerned Scientists estimates that 70 percent of antibiotics and related drugs used in the United States are given to animals. Many of the same classes of drugs fed to animals are deemed "critically" important in human medicine by the FDA, including penicillin, tetracyclines and sulfonamides. In recent years, public health experts say there has been an alarming increase in the number of bacteria that have grown resistant to antibiotics, leading to severe, untreatable illnesses in humans. A Financial Times article tells us that Europeans are unlikely to want much flu vaccine this year. But companies will do well regardless, in part because they will be able to use stocks of influenza antigen (made under contract for last season) in the coming season's flu vaccines. UPDATE June 17 from the Times of India: "The imported doses of the swine flu vaccine, specially procured by the Union government for doctors and paramedical staff, have found few takers in Maharashtra. Only 811 of the state’s 34,300 medical staff involved in treating H1N1 patients took the shots..."
The survey, carried out by Healthcare Republic for GP newspaper, found that almost three in 10 GPs said they would not have the swine flu vaccine, with the same number, 29 per cent, unsure whether they would or not. Out of the 216 GPs polled, more than seven in 10 said they were concerned there had not been sufficient trials. Richard Hoey, editor of Pulse, said: "The medical profession has yet to be convinced by the Government's whole approach to swine flu, with most GPs now feeling that the Department of Health overreacted in its policy on blanket use of Tamiflu. Obama's war funding requests for this year and next are still awaiting approval, Flake said, and "it's going to be a more difficult sell than it was several months ago..."
WHO has published a formal response on its website to many of the criticisms published in the BMJ and by the Council of Europe last week. 1. WHO appears to acknowledge lack of disclosure of conflicts of interest by experts involved in its 2004 pandemic plan. WHO regards severity as an important feature of pandemics and a critical factor when deciding on which actions to take. However, WHO has not required a set level of severity as part of its criteria for declaring a pandemic. But declaring a level 6 Pandemic triggers actions to take. Thus WHO's excuse is paradoxical. As I noted earlier, the current definition encompasses any new common cold virus that leads to colds in different parts of the world. Such a definition is entirely useless to public health efforts. The process by which WHO experts came up with such an odd definition (which pulled the trigger for billions in vaccine/drug sales) should be explored. The new H1N1 virus rapidly crowded out other circulating influenza viruses and appears to have displaced the older H1N1 virus. This phenomenon is distinctly seen during pandemics. Agreed. But then why was it recommended that citizens should receive both trivalent seasonal flu vaccine and swine flu vaccine? Furthermore, several Canadian studies suggested that receiving seasonal flu vaccine roughly doubled the risk of developing a swine flu infection. Then why take chances with the seasonal shot when only swine flu is circulating? If WHO and national public health officials were cognizant of how pandemics rapidly crowd out other flu strains, and closely observed this taking place, why was so much effort put into convincing people to get a useless seasonal flu shot last season? Why did CDC encourage hospitals (and states) to require seasonal flu shots for their employees last season, when CDC knew that less than 1% of flu strains would respond to the vaccine? Yet mandatory flu shots are "gaining traction" in spite of persistent questions as to whether they actually help prevent flu and flu deaths in the elderly and in hospitalized patients. UPDATE June 14 (NY Times): The United States has discovered nearly $1 trillion in untapped mineral deposits in Afghanistan, far beyond any previously known reserves and enough to fundamentally alter the Afghan economy and perhaps the Afghan war itself, according to senior American government officials. Isn't it nice to learn what this war is actually about, after nine years and so many thousand US and Afghani lives have been lost? This is what our tax dollars, children and national prestige were being spent on. Some assert that Bin Laden and al Qaeda were pawns/creations of the CIA, used to get the Soviets out of Afghanistan. And some assert that Bin Laden and al Qaeda remained creatures of the US intel community at the time of 9/11. (Sure, we had troops going after him, but he also made some amazing escapes.) Was 9/11 the excuse to get us into Afghanistan so the US could gain control of its mineral wealth? I will attempt to explore this question in future. Links between the Taliban and Pakistan's intelligence service have long been suspected, but the report's author - Harvard analyst Matt Waldman - says there is real evidence of extensive co-operation between the two. "This goes far beyond just limited, or occasional support," he said. "This is very significant levels of support being provided by the ISI. "We're also saying this is official policy of that agency, and we're saying that it is very extensive. It is both at an operational level, and at a strategic level, right at the senior leadership of the Taliban movement." Last week Afghan intelligence chief Amrullah Saleh resigned, saying he had become an obstacle to plans to talk to the Taliban. The decisions to stockpile antivirals and influenza vaccines to control avian flu (2005-6) and swine flu (2009) cost large amounts of money.1 2 Both epidemic threats were mostly iatrogenic pandemics of panic, which caused little human suffering, but the global plans to control them were largely a waste of money.1 Was this the consequence of rational risk management in conditions of uncertainty, of fear accompanying any epidemic threat,3 or of close working relationships between disease experts and the drugs industry? Severe acute respiratory syndrome (SARS) in 2003 was an epidemic by an unknown and therefore scary new virus, but we know much more about influenza viruses.2 4 5 The new A/H1N1 swine flu was a far cry from the lethal A/H1N1 pandemic of 1918. There has never been evidence that the recent A/H1N1 virus was anything but mild,6 and it was not reasonable to consider it the first wave of a much more serious second wave. The theory that the 1918 influenza pandemic was caused by a second wave of a mutated virus that had caused a benign epidemic in a first wave has never been supported by any evidence.4 The nature of the organisms that caused mild respiratory disease in the spring of 1918 is unknown, but many better candidates than a "Spanish influenza virus light" exist. Both recent iatrogenic pandemics of panic were caused, or at least exaggerated, by disease expert committees. The World Health Organization failed to give appropriate guidance in both pandemics of panic. To prevent this from recurring, WHO should "do it the NICE way." Disease experts are necessarily and fatally biased. It is not reasonable that they bear the entire responsibility for decisions related to their disease. This has been convincingly shown over the past years with the two iatrogenic pandemics of influenza panic. Advice of disease experts, of course, is valuable and indeed crucial, but this advice should be tested against the available evidence, balanced by other stakeholder views, and checked by the transparent evaluation of costs and values. At last, the final evidence based policy advice should be drafted by independent scientists trained in evaluation and priority setting. Here is the WHO report on current Swine Flu activity wordwide, and below is the CDC report for the US. Nature's Declan Butler examines and rebuts the claim that WHO experts' paid consultancies affected the advice they gave WHO on the swine flu pandemic. Butler correctly notes that many governments ordered some swine flu vaccine before WHO declared a Level 6 Pandemic. He further reports that scientists said, "severity is impossible to pin down until many months after [a pandemic] starts." Another issue he discusses is whether WHO and its experts had declared their conflicts of interest correctly. Yes, some swine flu vaccine was purchased prior to WHO's June 11, 2009 Pandemic Level 6 declaration. But what has not been adequately discussed anywhere, to my knowledge, are pre-existing contracts that were forcibly triggered by the declaration of a Level 6 Pandemic. Such contracts had been entered into by governments and vaccine manufacturers as a result of earlier fears [circa 2000-2004] over a potential avian flu pandemic disaster. The contracts allegedly committed governments to large purchases of "pandemic" vaccines, no matter what pandemic eventuated. WHO knew of these contracts, and both its officers and expert consultants understood that billions of dollars in vaccine purchases hung on the decision to declare a Level 6 Pandemic. These contracts were not made known to the public at the time. I would posit that by June 11, 2009 the epidemic looked a lot tamer than it had in April 2009. WHO's Margaret Chan discussed severity when she declared a Level 6 Pandemic, acknowledging, "On present evidence, the overwhelming majority of patients experience mild symptoms and make a rapid and full recovery, often in the absence of any form of medical treatment." I would further posit that although discussions about the definition of pandemic had been ongoing, the decision to omit severity from the definition is, at a minimum, medically unsound. The current WHO definition allows for every widespread new common cold virus to be termed a Level 6 pandemic. Thus the altered definition lacks specificity and therefore lacks usefulness. Given the knowledge of disease severity in June 2009, compared to April 2009, there was no clear public health need to raise the pandemic level and activate the preexisting vaccine contracts. Recall that those contracts had been written when a bird flu pandemic, associated with a 50% plus case fatality rate, had been envisioned. Probably many of the same people were involved in the swine flu response as were involved with bird flu planning and response. Certainly Doctors Margaret Chan (China) and Keiji Fukuda (USA) (respectively WHO Director-General and Deputy Director-General, both from countries where vaccine makers were located) were central to the response to both pandemics. One would have expected these experts to distinguish the enormous difference in severity between the bird and swine flu pandemics, and respond accordingly. Scuttlebut at the time of WHO's June 11 declaration was that different countries had been jockeying to influence the decision, suggesting that politics influenced the declaration. WHO Director-General Chan says that, "At no time, not for one second, did commercial interests enter my decision-making," Okay. But then, what did lead Dr. Chan to raise the pandemic level last June? And what has led her to retain that designation today, when there is no serious swine flu pandemic anywhere? Given that the current (absent) state of swine flu disease is still being called a maximum Level 6 Pandemic by WHO, I'd advise countries with pandemic vaccine contracts that will be activated by future WHO pandemic designations to scuttle those contracts, asap. I beg to differ with Butler's experts, who claimed that months were needed to assess swine flu severity. When you are dealing with a potentially calamitous situation, and directing huge amounts of resources to understanding and controlling it, you can get a very good handle on mechanisms and ease of spread, as well as disease severity, in a very few weeks (and sometimes days), as long as the incubation period is short, as this one was. As to the issue of experts' conflicts of interest: these are pervasive throughout governments and international organizations. It has been very hard to find any expert advisors on FDA, CDC and WHO advisory panels (WHO has kept its pandemic flu emergency committee members a secret) who have not regularly consulted for industry. This is a recent cultural phenomenon, and it appears to be changing at FDA, following Congressional investigation. No one knows how to measure or manage the inherent conflicts, so they are mostly ignored. To what extent they influence decision-making remains to be seen. Personally, I feel such conflicts have been instrumental in dismantling safety standards and weakening government oversight (for example, by insufficient safety testing of swine flu vaccines before distribution, and not properly overseeing oil well construction). PARIS — A report released by the Council of Europe on Friday accuses the World Health Organization and European governments of vastly exaggerating the public health risks of swine flu and making secretive decisions that benefited pharmaceutical companies. INVESTIGATOR: Australian Nobel Prize winner Professor Peter Doherty is leading an investigation into Australia's baffling spike in severe side-effects from flu jabs. SEASONAL flu shots can trigger febrile fits in young children at nine times the expected rate and should not be given to healthy under-fives this winter, the Chief Medical Officer advised yesterday in a warning that puts the world on alert. Australia's baffling spike in severe side-effects may jeopardise the roll-out of the 2010 flu vaccine in the northern hemisphere, where the US, the European Union and Canada are awaiting the results of an investigation to be led by immunologist Peter Doherty. The head of Australia's investigation into the spate of serious side-effects from the suspended pediatric vaccine said one hypothesis was that the killed-off cells were causing a "cytokine storm" -- a severe overreaction to the vaccine by healthy children's immune systems. Such reactions have been blamed for the death toll from the 1918 Spanish flu pandemic. Professor Doherty told The Australian the vaccine "could be doing something along those lines". Pharmaceutical giant CSL yesterday announced a voluntary recall of the pediatric version of its Fluvax seasonal flu vaccine from medical clinics and distributors, as a "precautionary measure". 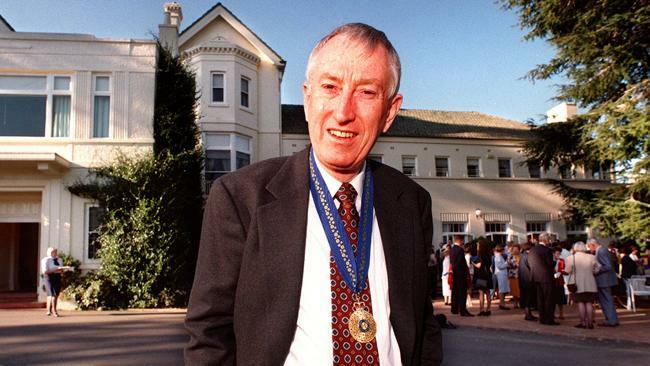 The federal government has appointed Professor Doherty -- who shared the Nobel Prize in medicine in 1996 - to lead a committee of experts who will collaborate with the US Centre for Disease Control in Atlanta. "Everyone is interested in what we're discovering, and we will be making information available to our colleagues at the WHO, the US and Canada," Professor Bishop told The Australian yesterday. "The EU Centre for Disease Control has been in contact and we've had teleconferences with them. Our information is important to them, and they are going to take our findings into account." Instead, the CDC tried to drown out this information today, blitzing the media with the claim (from the Atlanta Journal-Constitution): CDC: Swine Flu Vaccine Proved Safe. But this isn't true. The truth, discussed later in the article, is that swine flu vaccine caused the same amount of extra Guillain Barre Syndrome (GBS) cases as seasonal flu vaccine causes: one more case than would otherwise occur per million vaccinated. ... analysis by the Atlanta-based Centers for Disease Control and Prevention revealed that about the same rate of people contracted GBS after receiving this recent swine flu vaccine as have historically contracted it from common flu vaccine.